Looking beyond the horizon, where the sun rises slowly from the East. The new energy is ramping up and launching out. In the past 20 years, the new generation of young creatives from Asia has set foot in other continents like Europe, America, or Australia to learn more about contemporary jewellery, the conceptual way of making jewellery originated in the relatively “West” land. Carrying different cultural background with them, these young Asian creatives reposition themselves and find themselves again throughout the process. 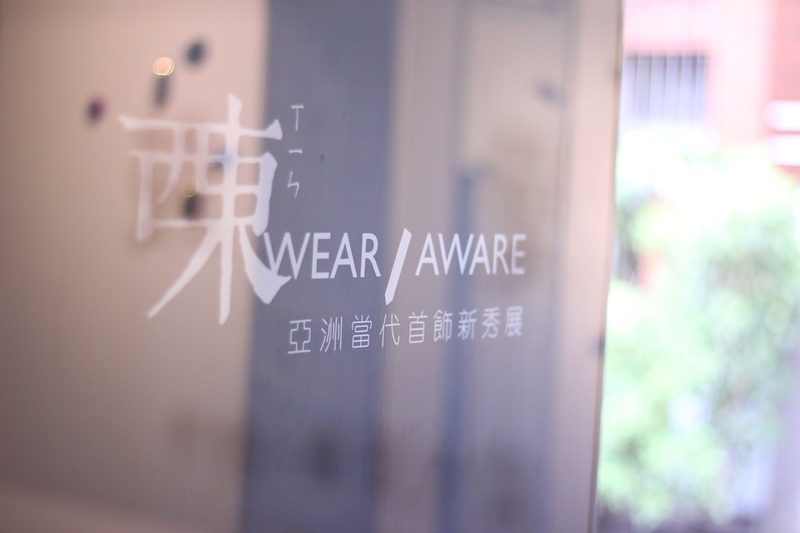 For “WEAR /AWARE” exhibition, MANO has invited 8 young artists from Taiwan, Thailand, South Korea, Japan, and China to get a taste of new Asian jewellery. 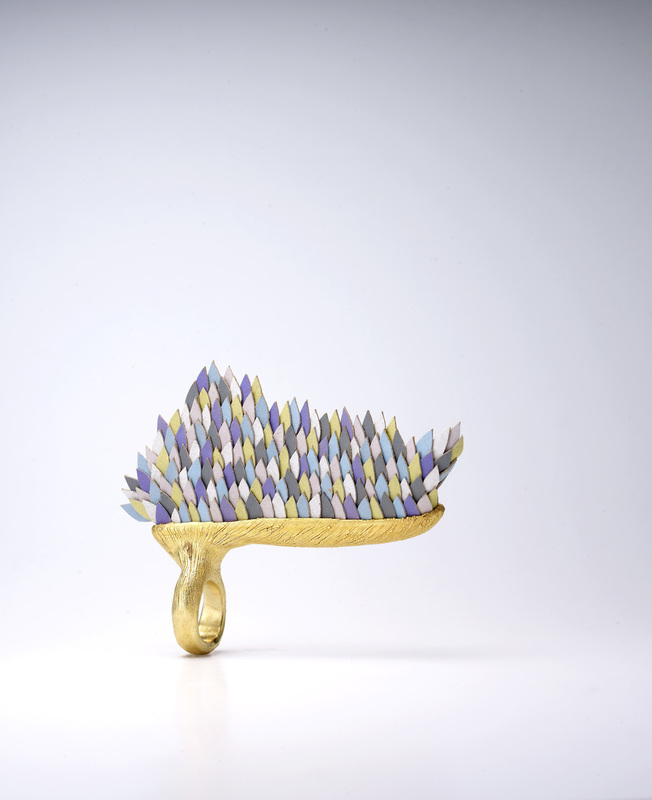 To see how the Oriental artists are using jewellery as media to visualize concept, to tell personal story, to place question about daily life and aesthetics, or to reflect on one’s cultural background. From Taiwan, there is Ara Kuo who uses traditional calligraphy brushes to give new interpretation of home. Shu-Lin Wu’s “Mon Coeur” series uses the fire endurable quality of ceramics to connect the heart and soul. Alice Bo-Wen Chang explores the relationship between body, space and object(s) through her kinetic and structural body sculptures. From Thai artist Noon Passama, basic buttons gets thousand faces being imagined as people who appear in different ways. South Korean artist Heejoo Kim creates the fifth season with her unique use of materials. Jeehyun Chung investigates material composition and transforms simple fishing line into marvel. From Japan, Mariko Sumioka’s work pays tribute to Japanese traditional architecture and the respect for natural surroundings. Last but not least, Chinese artist Xiao Liu adopts grains and dust as material of his work to reveal the spiritual capacity of human being. Point to the horizon and point back to ourselves. This is who we are, where we came from, and where we are going. “WEAR / AWARE” have strung together these oriental pearls awaiting you to discover. And the string of connection is the oriental implicit delicacy and beauty.